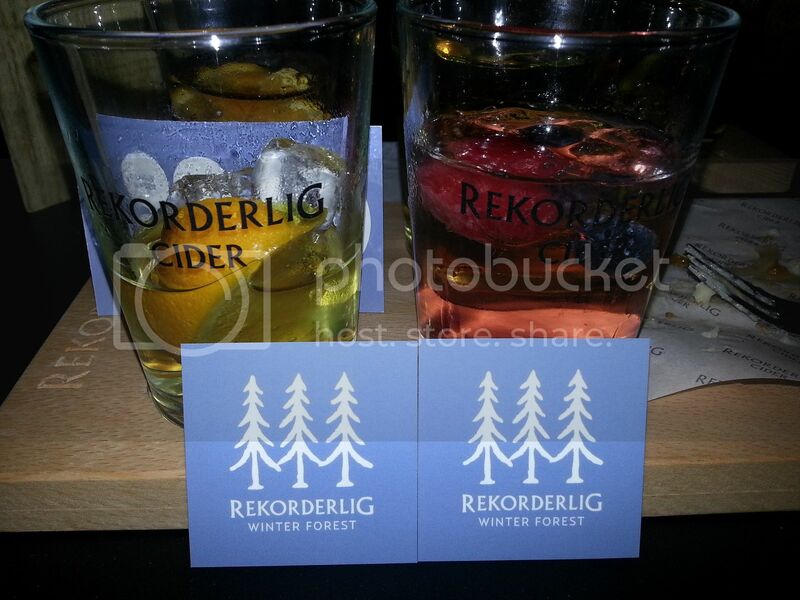 On Friday night, I went out with my friend Cat to the amazing Rekorderlig Winter Forest Pop Up, at the Truman Brewery in East London. The Truman Brewery is great, and there's always so much going on there. 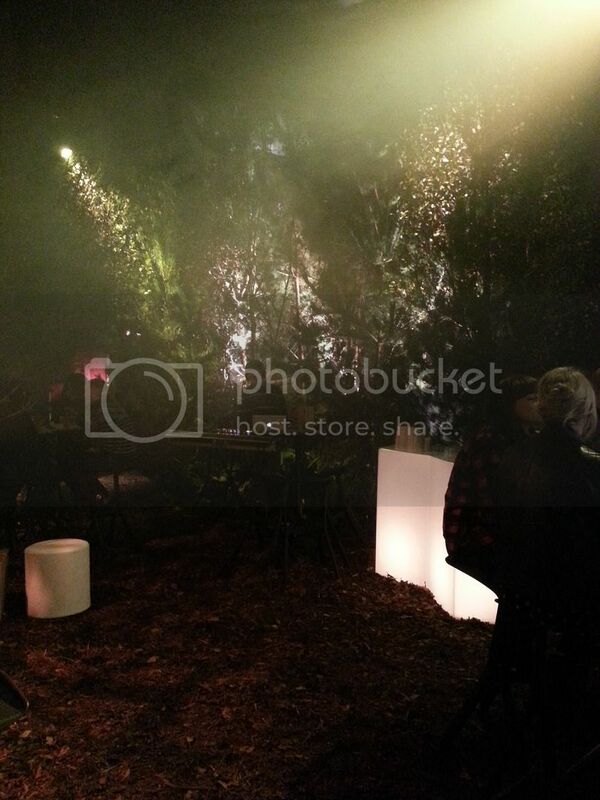 Cider Brand, Rekorderlig, have launched a pop up Winter Forest, and it's an amazing little night out. Stepping through the front doors, it's like you've really stepped into a Swedish forest, and the atmosphere is incredible and so real. 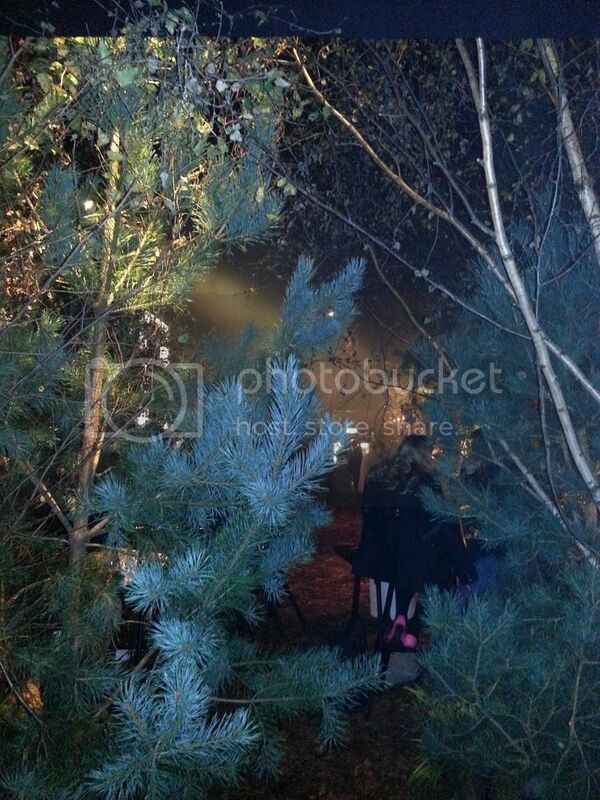 London has been freezing lately, so a winter forest is a perfect concept for this time of the year. Rekorderlig have recently done their 'Beautifully Swedish' campaign which included hilarious short videos on spreading the Swedish culture so this is another great way to share the Swedish culture, especially with the traditional food on hand. 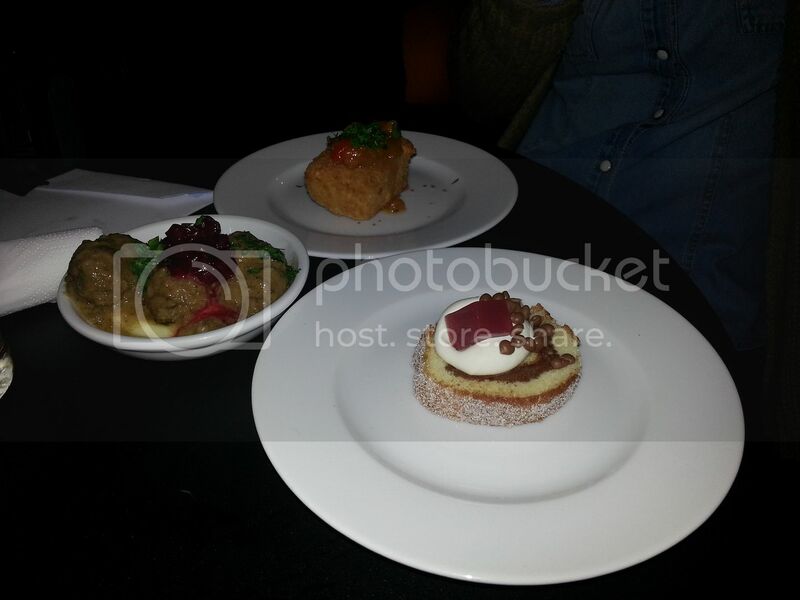 The dessert in particular was delicious! 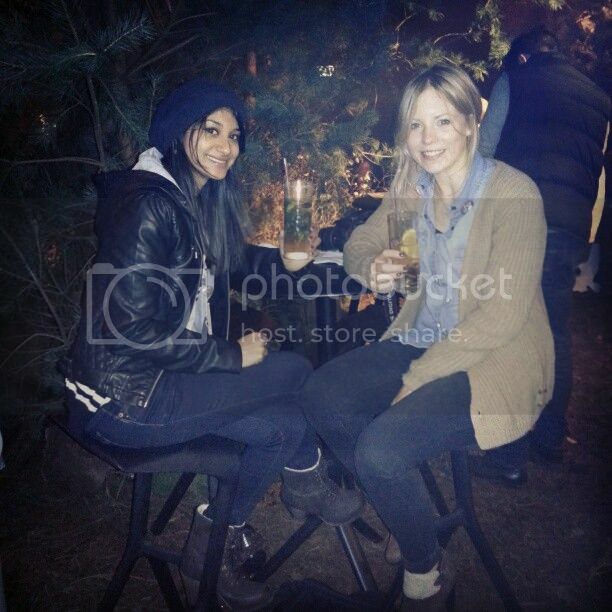 I loved the authentic feel with the pine trees and traditional Swedish food/drinks. It definitely felt like I was in a Winter Forest, and extra details such as wooden menus and seating arrangements added to it all. There was also a live DJ playing great tracks all night, so it's all great fun for a unique night. If you're in London, I definitely recommend heading down. It's open until 6th November, so not for very long. You can buy tickets in advance, but can also pay on the door if you come after 8pm. Check out more information on their Facebook Page. This looks amazing! 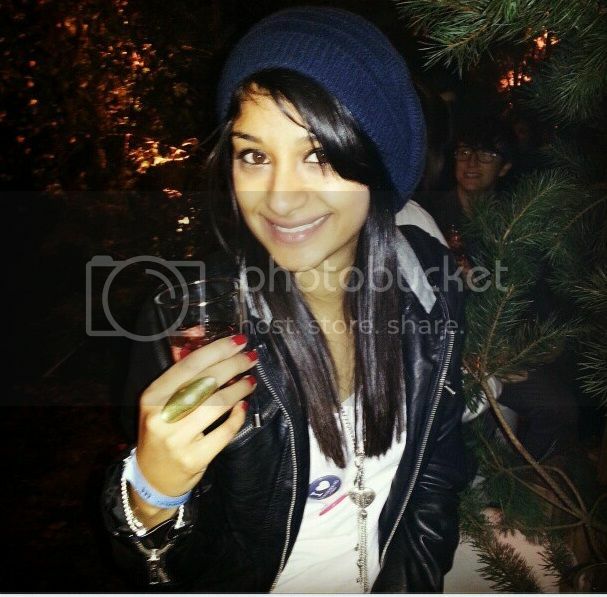 I love all those pine trees, and the food looks so good! I don't even like cider, but I wish I could have gone to that..! 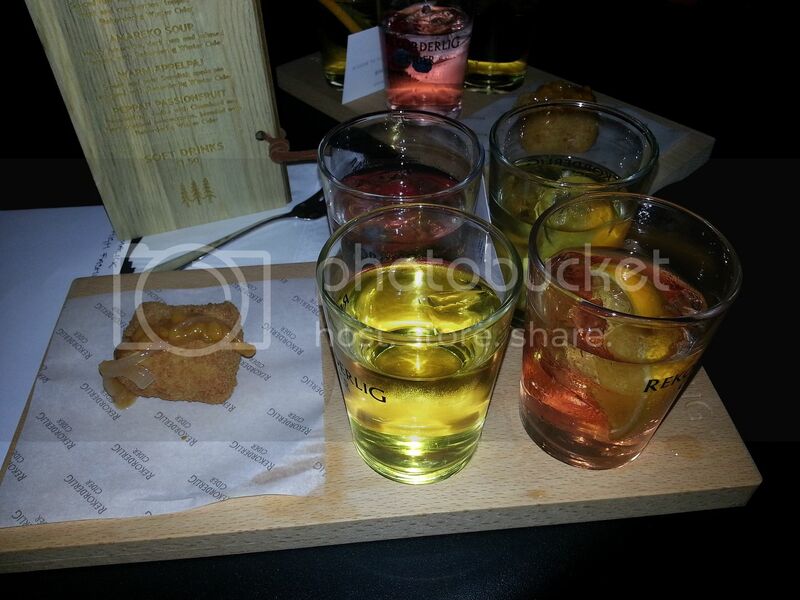 Looks like such a fab night :) I think I tried that cider recently on a night out...very yummy! !